This is a very unusual set of playing cards. The backs of the cards simply have a nice design on them, but it is the faces of the cards that are unusual. 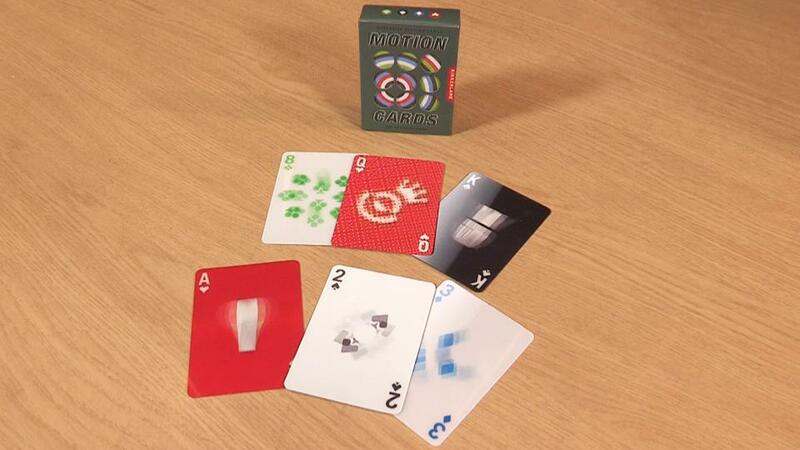 Each card has a lenticular design, which shifts and changes as you tilt the card. There are some other unusual features of this deck, so while the spades are black and the hearts are red, as you would expect, the diamonds are blue and the clubs are green! Intersting, good quality. Not as good as other items purchased.